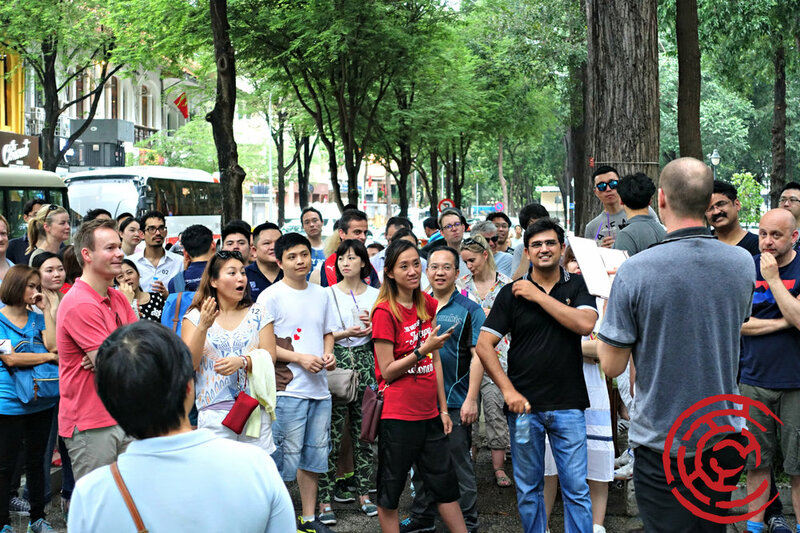 Two days ago, we organized and operated a corporate event for a big group of persons from Cambridge University Press group. 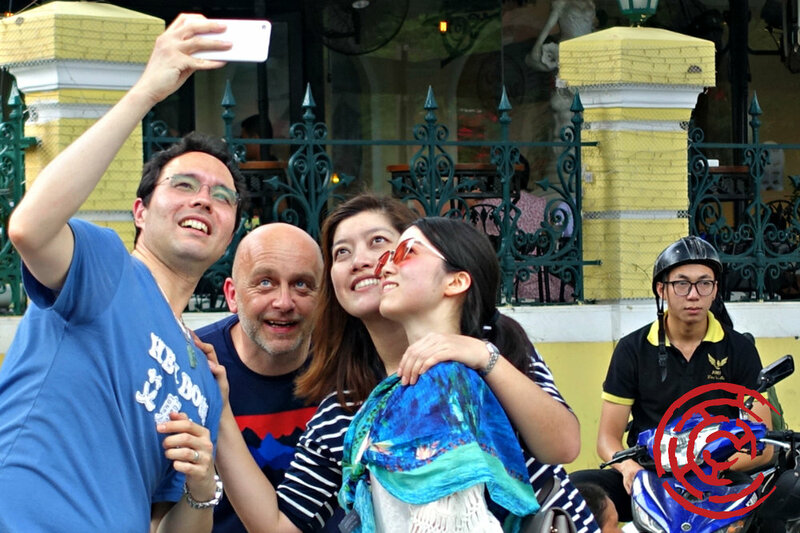 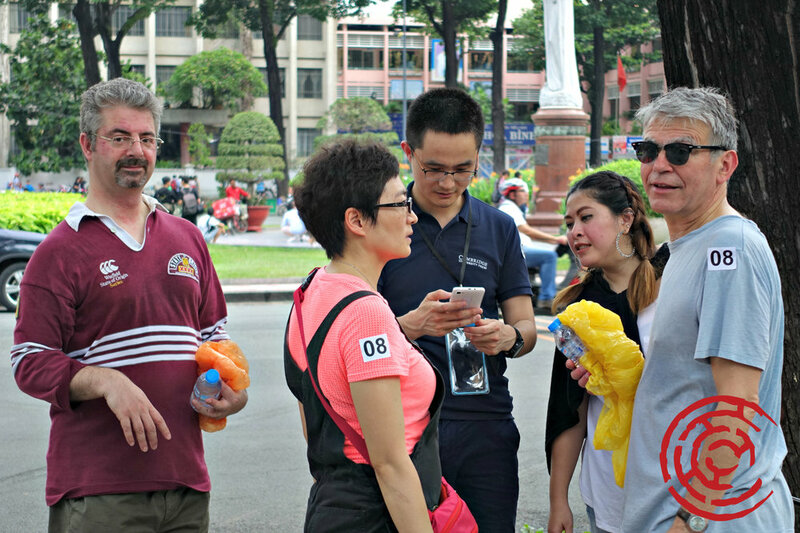 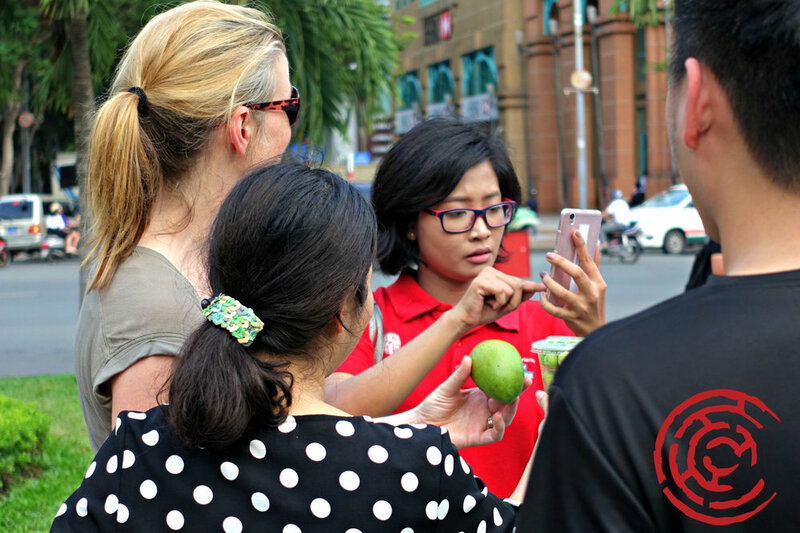 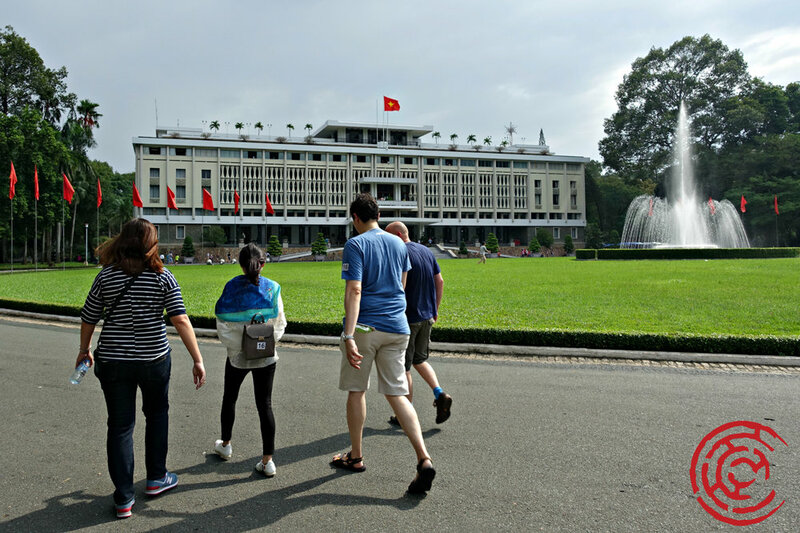 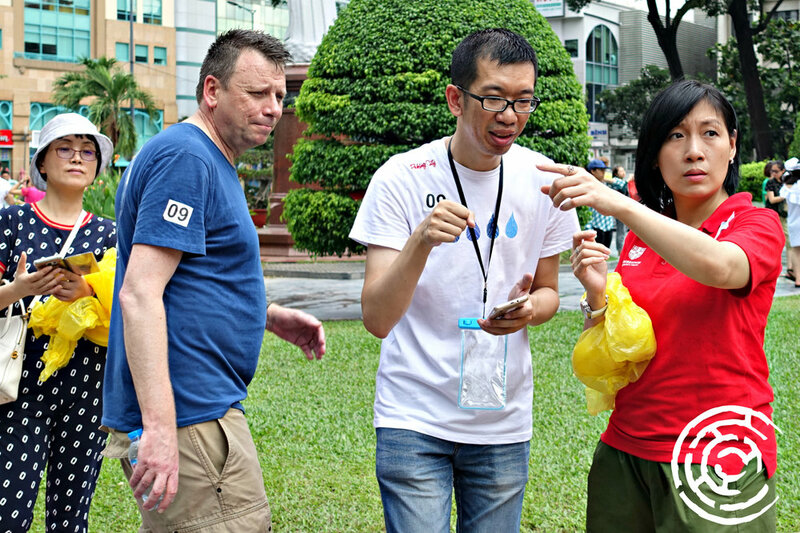 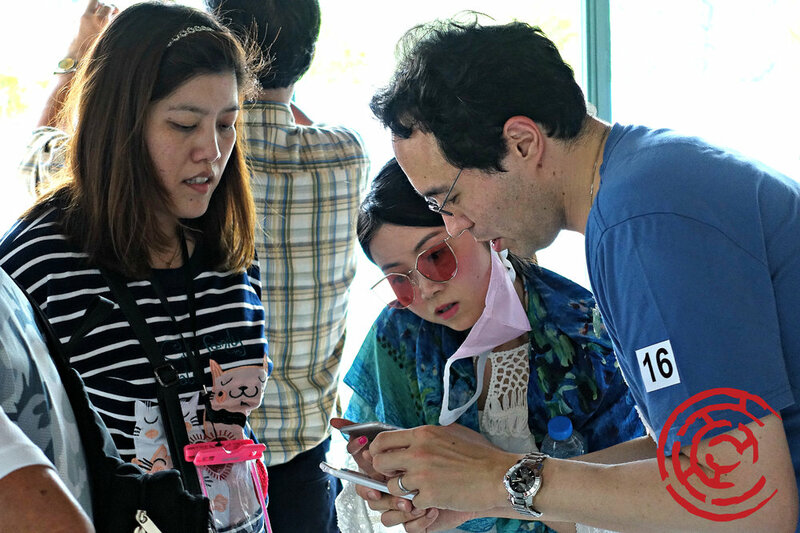 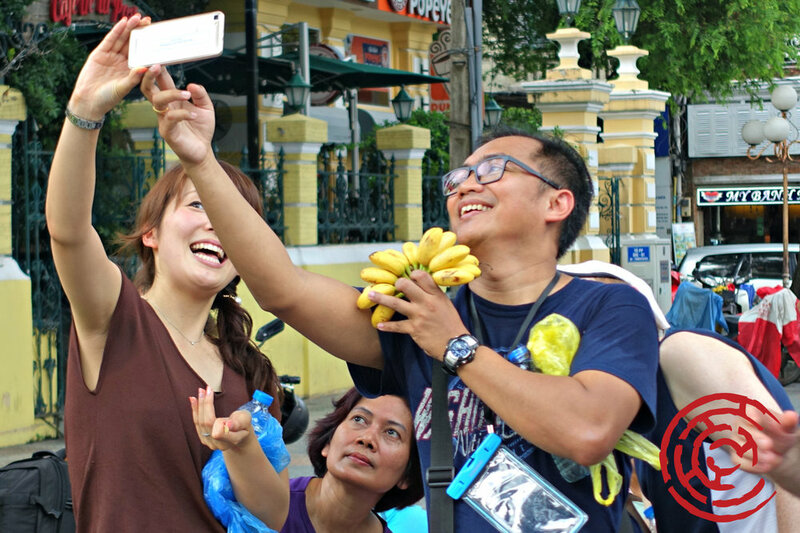 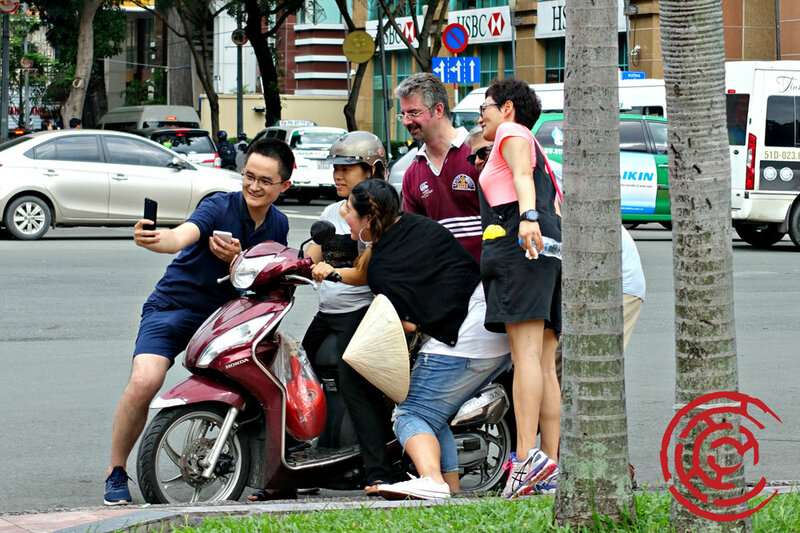 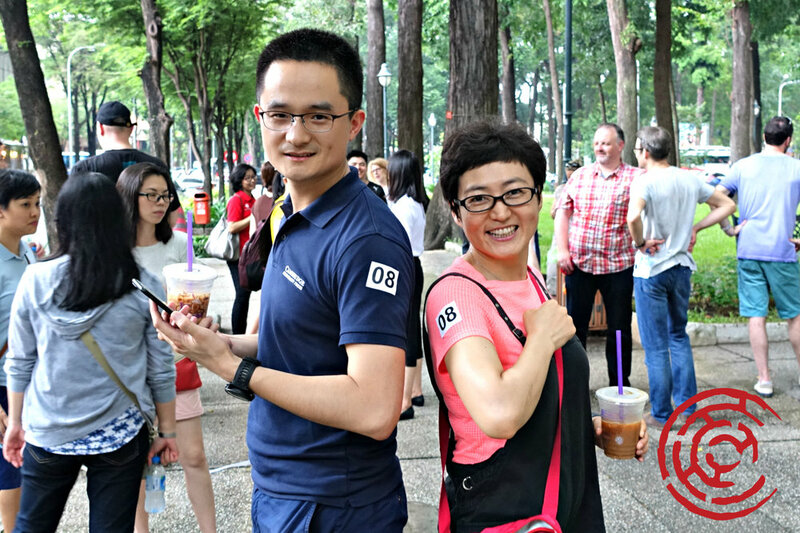 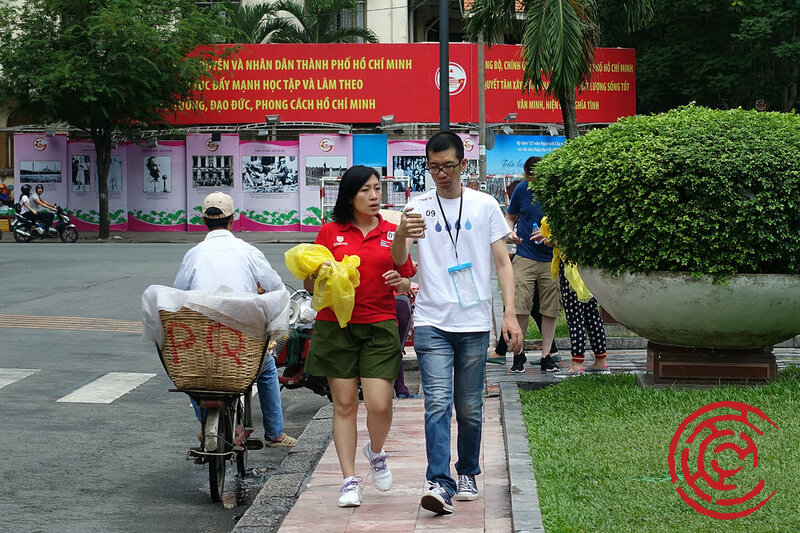 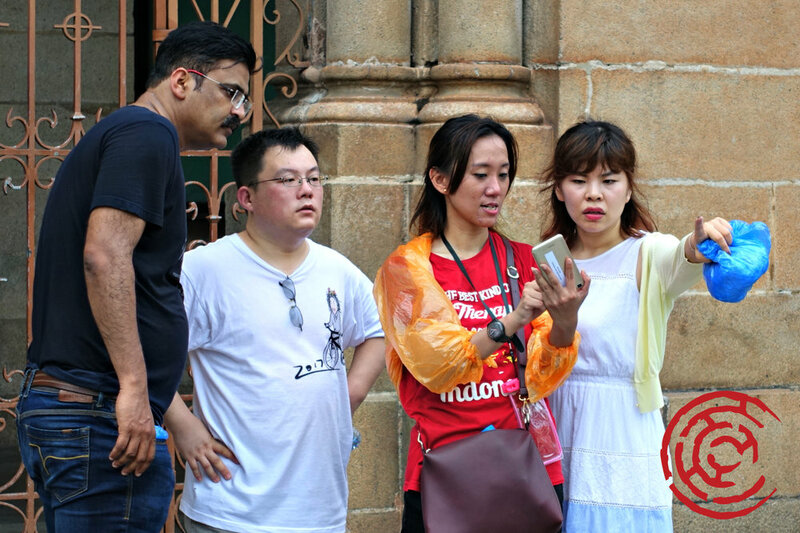 Participants were divided into 23 teams of 5 people and had to undertake an interactive scavenger hunt in the heart of Saigon city center, around the Notre-Dame Cathedral Basilica of Saigon. 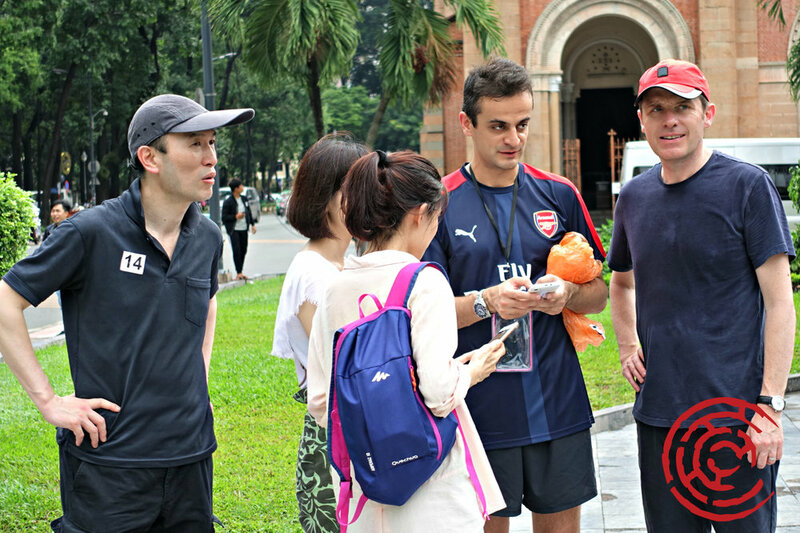 All teams competed to each other in terms of time and in terms of number of points won. 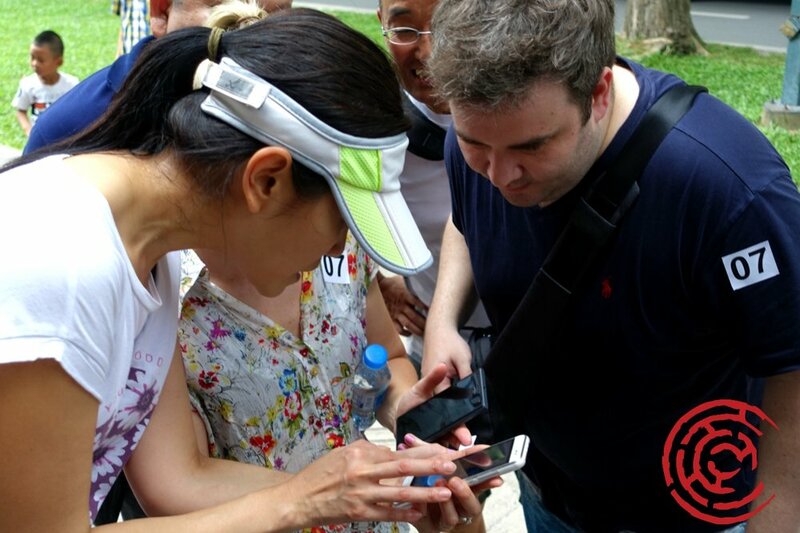 Players had to fulfill different kind of challenges, quizzes, riddles, using a smartphone, their sense of direction, cooperative skills and time management. 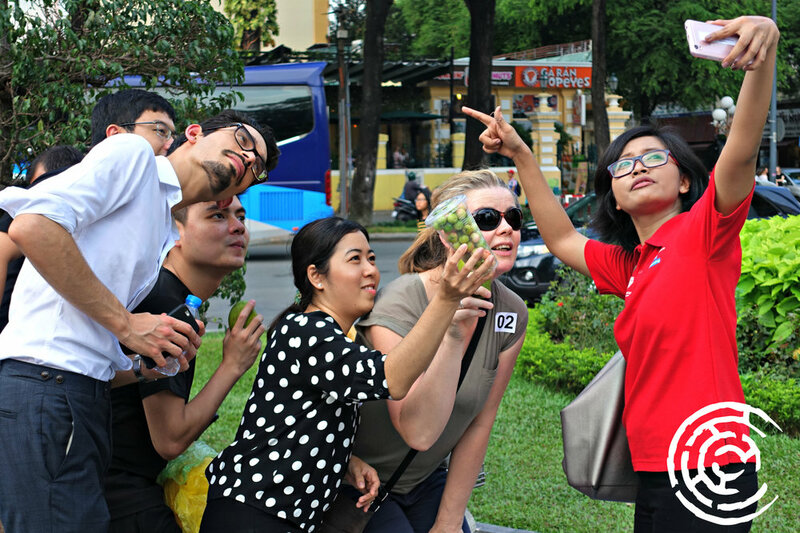 It was a fun and adrenaline-packed urban adventure!